Capri is a beautiful island located in the Tyrrhenian Sea off the Sorrentine Peninsula, on the south of Italy. The main town Capri that is located on the island shares the name. Nowadays, it seems that all the celebrities are going there on vacation. Swiss luxury watchmaker Hublot was founded in 1980 by Carlo Crocco. The brand is especially known for a campaign ad featuring Formula One Management President and CEO, Bernie Ecclestone. Ecclestone suffered an attack by four men and they stole their watch, which led to the campaign with the tagline, “See what people will do for a Hublot”. 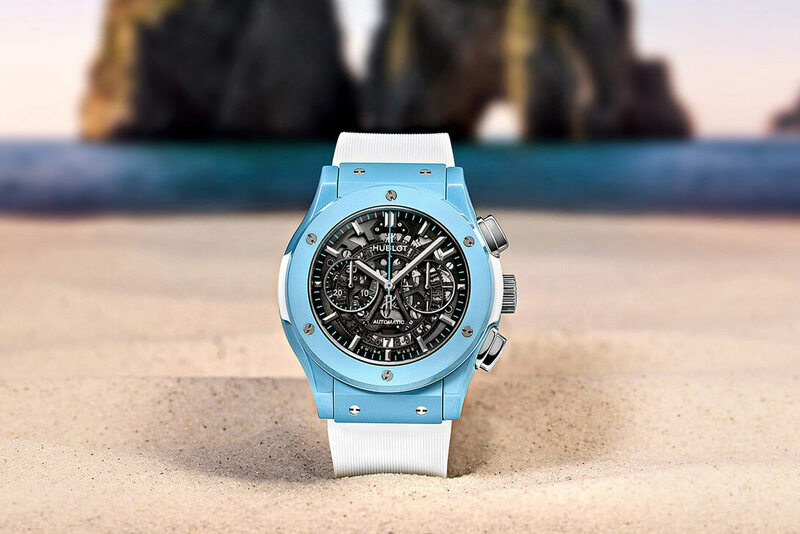 To mark its Capri flagship’s one anniversary, Hublot just released a special edition of Classic Fusion Aerofusion Chronograph watch. The 45mm polished ceramic case takes on a turquoise colour. In contrast, the rubber striped strap is white. 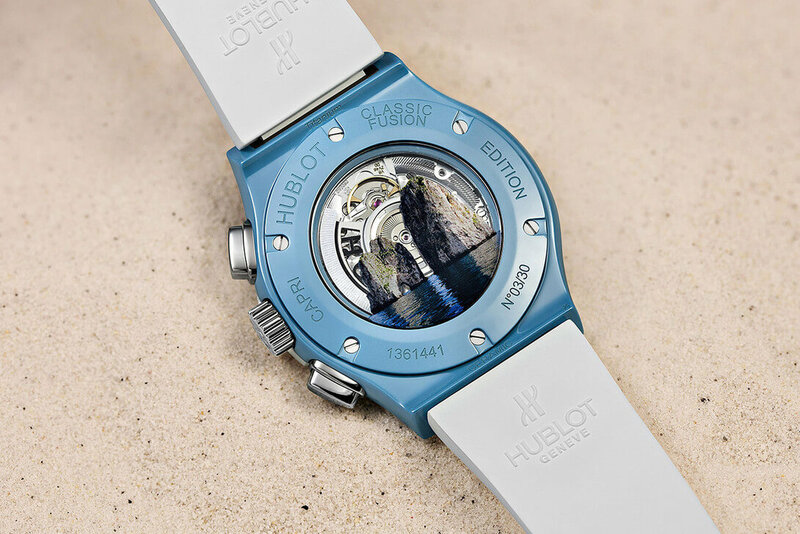 The watch also pays tribute to the Faraglioni, an iconic and picturesque oceanic rock formation. You can see an image on the back of the watch. 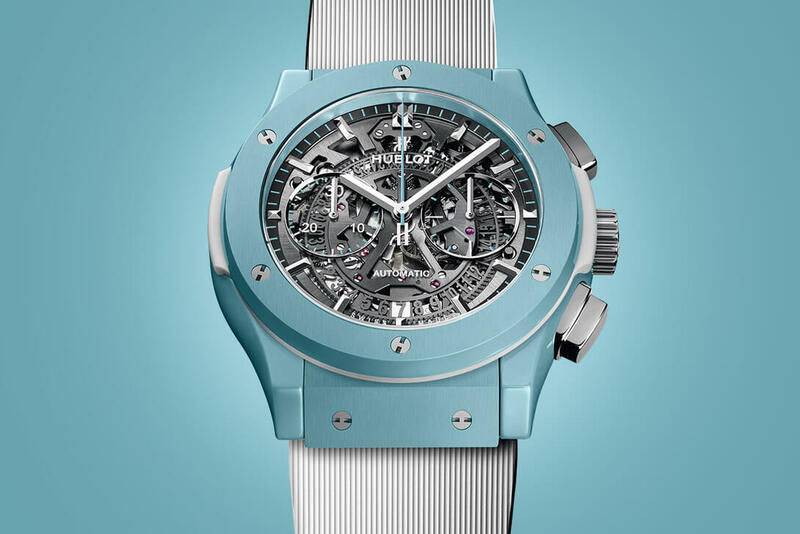 Other interesting features include a Caliber Hublot HUB1155 movement and titanium hardware. Finally, they are only 30 Classic Fusion Aerofusion Chronograph watch, making it super exclusive. It would definitely on my wishlist if it fitted my wallet.